Resolve Optics has developed a variant of its Model 207 miniature motorised zoom lens enabling a manufacturer of remotely operated vehicles (ROV’s) to help improve the deep sea welding capability of their system. 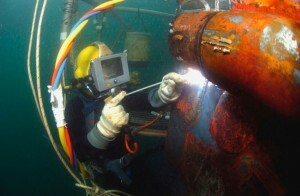 Traditionally underwater welding repair to secure the integrity of pipes and other marine structures has been carried out by diving welders. To carry out such tasks these highly trained individuals face the perils of deep water and because of poor visibility welding joint quality has often been variable. For these reasons remotely operated vehicles have become increasingly popular for underwater welding projects. 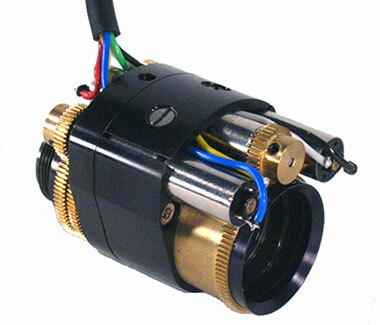 ROV’s are particularly useful because they have no depth restrictions which may limit divers, no depth time limitations, are able to enter dangerous and small spaces or contaminated water, and with the help of innovative optical design from Resolve Optics Ltd are able to monitor operation with high quality video. The underwater application required a compact motorised zoom lens for the ROV’s video camera which had the ability to provide a wide angle view such that the operator could more easily locate the area that required welding. The unique close focus feature of the Model 207 allowed the lens to be placed closer to the welding head and incorporation of an ND spot to provide a wide aperture range of f/2.8 – f /160 enabled the operator to monitor the weld as it happens without the camera flaring out. The Model 207 Motorised Miniature Zoom Lens from Resolve Optics Ltd. can focus on an object at infinity right down to an object positioned just 35 millimetres in front of the lens. Designed for use with miniature CCTV cameras – the Model 207 (50 x 34 x 31 mm) is the smallest stand-alone zoom lens commercially available. Using the unique close focus capability of the Model 207 f/2.8 zoom lens opens the door to a range of macro applications as it allows an object to be shown in detail at a much enlarged size on a TV monitor. The small size of the lens coupled with its close focus capability, high resolution image tracking and unmatched bore sight accuracy has enabled the Model 207 to set a benchmark for zoom lens performance and operational versatility. For further information on the Model 207 please click here or contact Resolve Optics Ltd. now on +44-1494-777100 / sales@resolveoptics.com.